Keeping our forest clean for future generations. The support and growth of OFTF since that first official clean-up effort has been more than any of us could have hoped for, and in our first four months of existence, we have managed to remove 26,488 pounds of garbage and pulled out 25,480 pounds of scrap metal from only four locations surrounding the City of Kelowna. 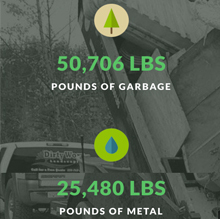 That is an amazing 51,928 pounds of waste that was illegally dumped in the forests around our city. 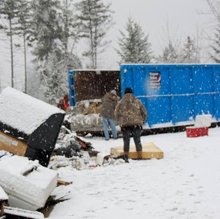 Unfortunately, that is only the tip of the iceberg in cleaning up a problem that has become a concern of disturbing proportions in natural areas around British Columbia. 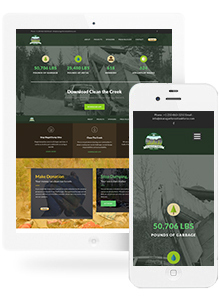 Responsive website build. 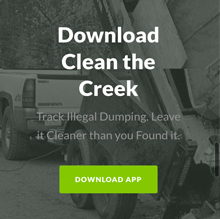 Integration into social networks and custom clean the creek app. 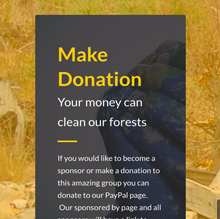 Designed for outdoor enthusiasts who were concerned over the growing epidemic of illegal dumping in our forests, recreational areas and along natural waterways.